Made using finest quality spring Steel, Carbon Steel and High Tensile Steel, our Stainless Steel Wire Mesh is of immaculate quality. Our company’s name figures in the list of nonpareil Manufacturer, Supplier and Exporter of Stainless Steel Wire Mesh from Varanasi, Uttar Pradesh. 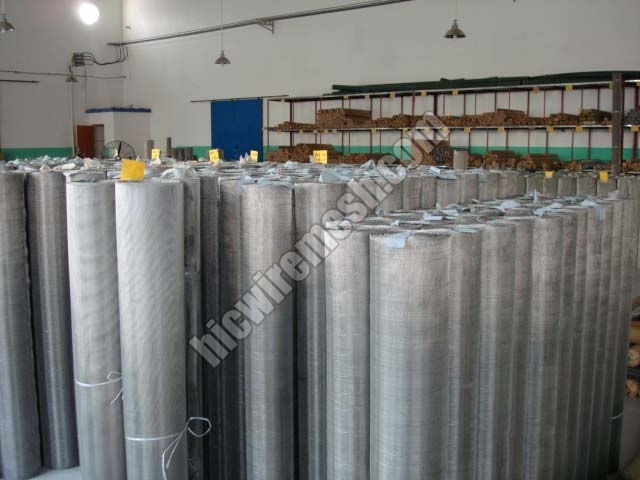 Our Stainless Steel Wire Mesh are extensively used for screening, mines, quarry industries, fabrication work etc. The perfect crimping insures the wire lock firmly together at the intersections. The Opening and extra crimping is important. We provide the Mesh with extra locking and tightness for less thickness wires. Available in standard Roll width of 3Ft, 1Mtr, 4Ft and as per buyer’s requirements.